At Westbrook Old Hall we use ‘letters and sounds’ to teach phonics. We have daily phonic lessons which are 20 minutes in length. During these fun and active lessons, we learn how to read and write using our knowledge of phonics. We play lots of different phonic games which help us to understand how sounds make words and we can then use these words to make sentences. 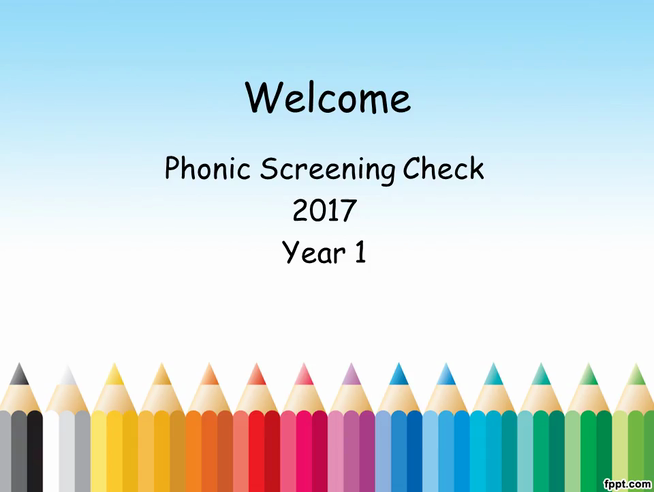 Parents of Year 1 children will be invited to a meeting about the Phonic Screening Check, in preparation for the Department for Education National Test. All Year 1 children are expected to undertake the test. Forty words will be presented to the children for them to read, using their phonic knowledge. See the video at the bottom of this page for further information. More details will be sent out by the Year 1 teachers, nearer to the time. The tests will take place in the first week back after the Whit Holiday, in June. Please ensure your child attends school everyday during the testing week!